The Rosenberg Room is a king-size suite in the Spy House portion of our New Mexico bed and breakfast. This beautiful bedroom’s name came from the infamous Julius and Ethel Rosenberg, who were executed in the 50’s. 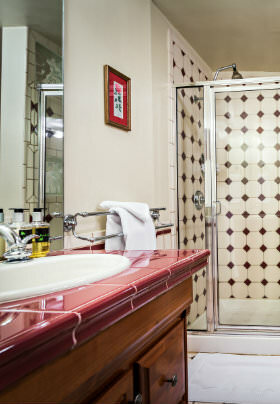 A spacious bathroom offers double sinks and a large walk-in shower. 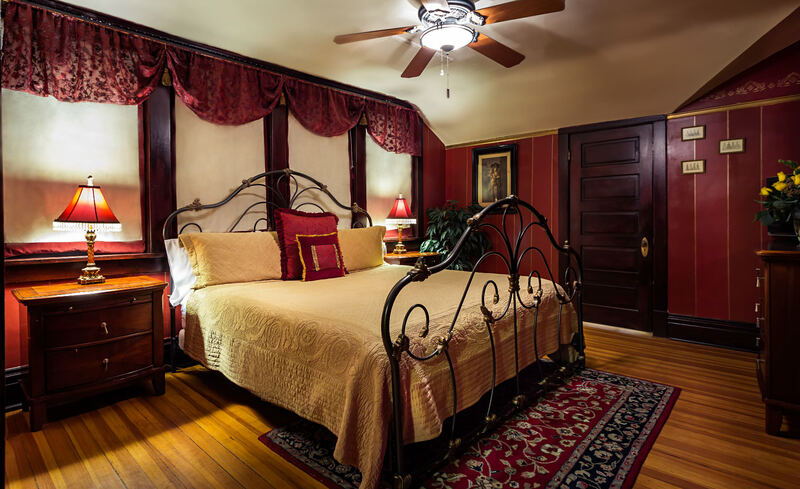 The room is accented in two tones of rich burgundy with accents of gold trim and a beautiful gold silk bedspread. 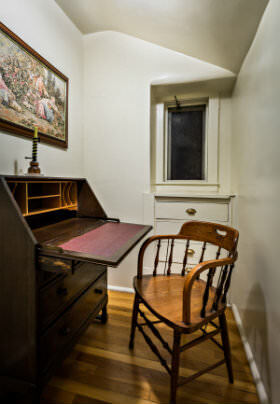 There is also a quaint, private study.